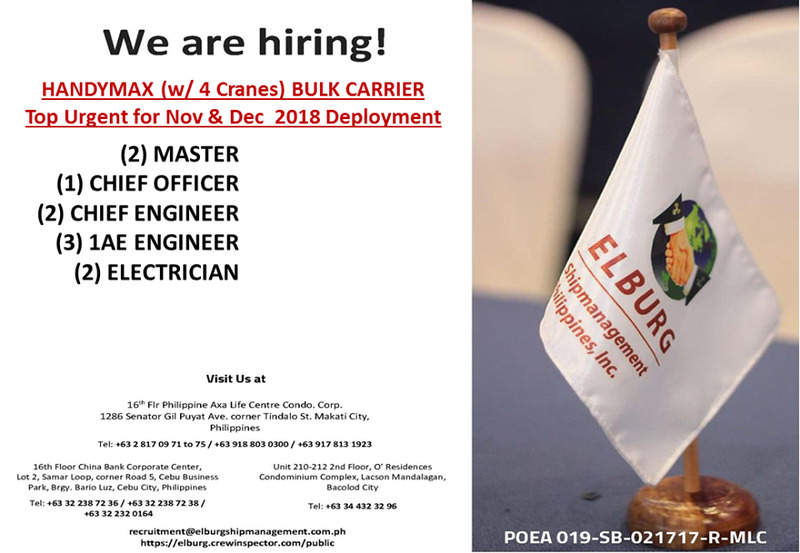 SEAMAN JOB INFO - Elburg Shipmanagement Philippines Incorporated top urgent crew for bulk carrier ships deployment November & December 2018. Share to help other seaman looking jobs at ssea. 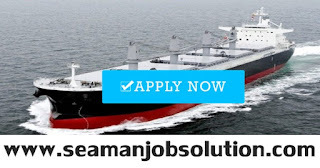 New:Singapore marine jobs. Apply today & find your perfect job. 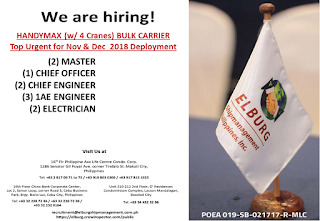 0 Response to "Master (2x), C/O (1x), C/E (2x), 1/E (3x), Electrician (2x) For Bulk Carrier Ships"